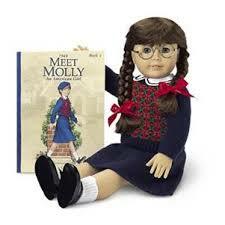 The day I realized my dolls were my first history teachers. In high school took AP United States History because that’s just what you took if you were smart but not mathy smart or sciencey smart or I’m a jack of all trades smart. It wasn’t a class that was sparking some kind of fire in me and I just barely got college credit out of it and most days I sat there wondering is the work this class requires really worth the GPA boost? For anyone who was wondering, it wasn’t worth it. That is, it wasn’t worth it until the class we were talking about D-Day. 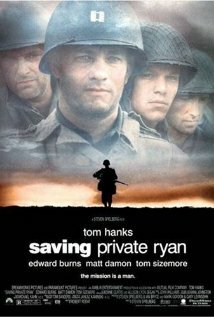 “You all have seen Saving Private Ryan, right?” I lifted my head from its resting place against the wall. Some students hummed a ‘yes’ and others reshuffled their notes and placed them flat on their desks in overzealous preparation for what they thought would be an in-class movie. My teacher, good old Ms. Robb, smiled. “That opening scene is about D-Day.” For some, including me, the Allied invasion was becoming real; a movie reel was flickering across my mind and suddenly D-Day was becoming something that maybe I could hold in my hands. It was that day, during Ms. Robb’s APUS class, that I realized that history does something other than just sit in a book. My sister is four years older than me, so as a kid I was perusing American Girl Doll catalogues long before I had any business owning a $150 toy. But for my fourth or fifth birthday, thanks to eight or nine-year-old Colleen and her AG subscription, I tore open a box to Molly, the girl whose father worked as a doctor in Europe during WWII. Throughout the course of my life, I collected six American Girl Dolls and three of the baby dolls, countless outfits, a bunk bed, a traditional Revolutionary War era canopy bed, a set of crutches, multiple pairs of doll-sized pointe shoes, a full set of trading cards, Samantha’s complete literary collection, and a Kirsten snow globe, among countless (and I mean countless) other things. I’ve had my mother read all of the books to me, and when I was capable on my own, scoured the pages myself. The best part of those books? The end, once the story is over, and the author explains through photographs the historical context of the story. Through those books, Molly taught me about rationing on the homefront during WWII and the selling of war bonds; Felicity showed me (way before Dr. Keyes did in my Revolutionary America class) that the sentiments of the Boston Tea Party created waves throughout all of the colonies and that other Patriot demonstrations did, too; Kirsten taught about me the plight of the nineteenth century immigrant and all about my own family’s Swedish heritage (and also lots about cholera; anyone remember her friend’s graphic death from it in Meet Kirsten?). American Girl is genius. They successfully did what an absurd amount of computer and board games tried and failed at: they tricked little girls into thinking they were having fun when learning about history. They bridged school history curricula with the activities they do at home, they put books in girls’ hands, and they convinced the children playing with their products that history is so much fun. You see, it wasn’t the well-researched realism of Saving Private Ryan that put history tangibly in my hands; it was Molly and Kirsten and Kit. It was theirstories. I study history in college and am passionate about it to a fault (“Did you know Hitler was initially deemed too feeble to carry a riffle?” I ask my friends). I love research, I love stories, I love the anecdotal trivia, but far and away the coolest thing about history is that it hides in the craziest of places and it’s in those places, in art and in culture and in stories, that it touches us the most. Previous Post Don’t leave don’t leave don’t leave don’t.